I wondered where I could find names of some of these conferences. My favorite site AllConferences.com is an excellent source to find names of conferences, both in the United States and internationally. You will find this global online conference directory to be a wealth of information for anyone who sources for leads at conferences. The site has 100,000 conferences, tradeshows exhibits and more. For this article, I am using http://www.allconferences.com/Regional/USA which I found you can search for conferences based on category, date (calendar) and by a venue. For my example, I am going to use “Computers” as my choice, don’t let the number 13,468 overwhelm you, clicking the computer tab leads you to categories relating to computer conferences, making the process of identifying which conference I want research much more accessible. Since artificial intelligence (AI) is a hot topic in 2018, one could investigate the 692 results. Instead, you can now choose the categories of AI you may want to use to find leads, making it a much more targeted search. If I did not choose one of the categories, I would still have 84 results to search. I love the option of being able to save my search parameters for the future (and they can email you updates if you choose to opt-in). You might try other words such as published records of conferences, symposium or other meetings sponsored by a society or an association, usually, but not always they can include abstracts, papers, posters, which are presented by participants of that particular event. How about trying presenter(s), workshop facilitator, lab session(s) or demo registration list(s)? Any of these words can widen your search for attendees of the conference. Once you have determined the conferences you want to source from and gathered keywords to find potential leads, the next step is to find further information using Boolean. Finding someone who spoke at a conference using “I spoke at” “CONFERENCE NAME” YEAR will return results of those who spoke at a particular conference. Want to find conferences relating to cloud platforms and summits? Use X-ray for conference management sites Eventbrite and Sched to find attendees for convergences. (site:sched.com OR site:Eventbrite.com) intitle:directory attendees cloud – yielded over 3000 results. I want to find a sales operations manager, and I choose one from Revel Technology who was an attendee for Cloud Summit 2018. Clicking on her picture led me to more information, her location and her company’s website as well as the topic she may have attended for the conference (and those who spoke – more possible leads?). Since the site to the company Stephanie works at is on her profile, I can use it to find an email format to those at the company or others who work at Revel Technology by using “@reveltechnology.com”. In the social media world, we have today many individuals forget the importance of face-to-face interaction especially those within the business community. 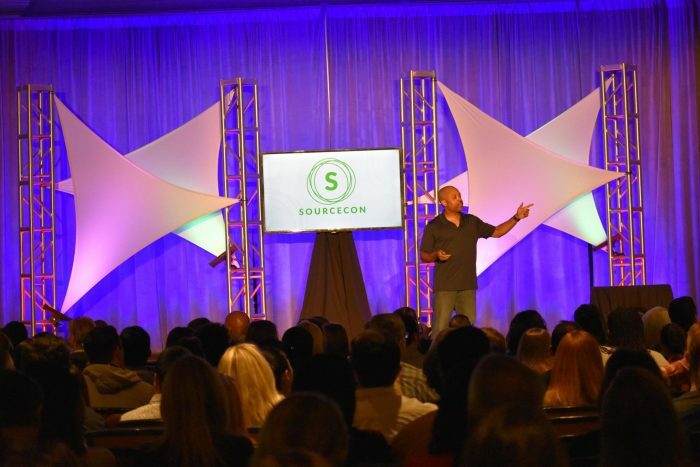 If you are lucky enough to attend your industry’s conferences, such as SourceCon for recruiting and sourcing, the power of being connected with others who are active in your line of work is beneficial, but for those looking to find the perfect lead it is priceless.